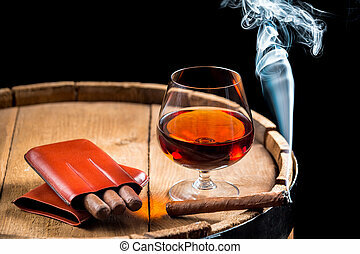 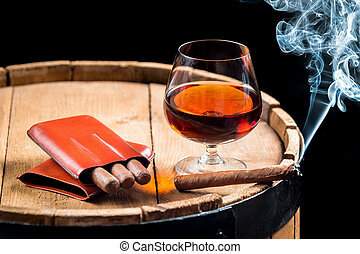 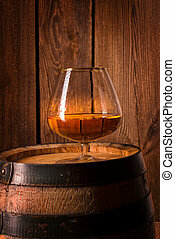 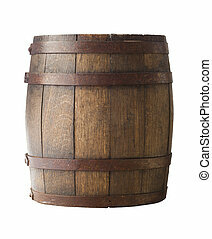 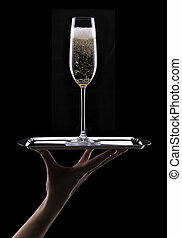 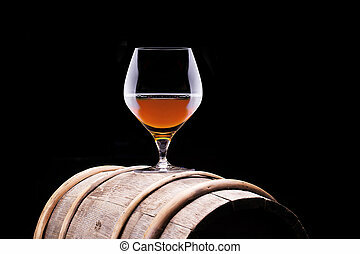 Cognac or brandy on a wooden barrel. 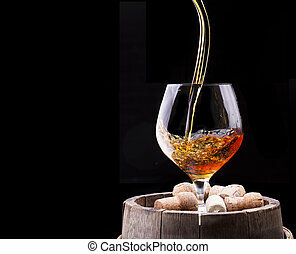 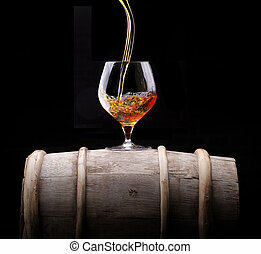 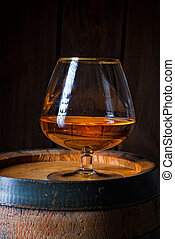 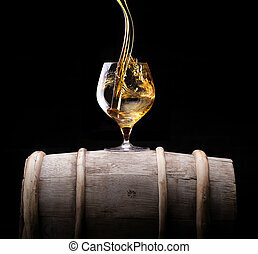 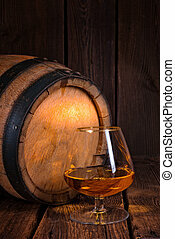 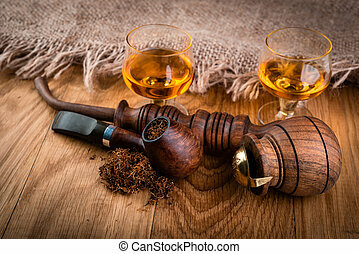 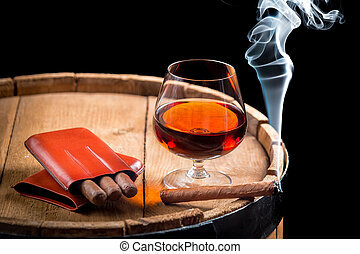 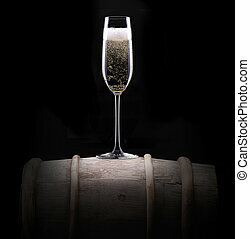 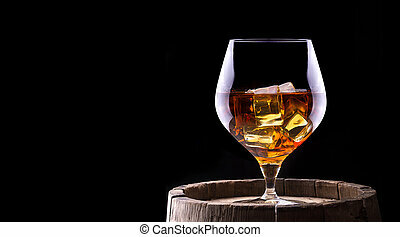 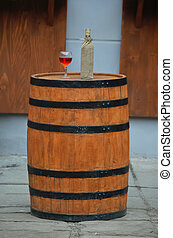 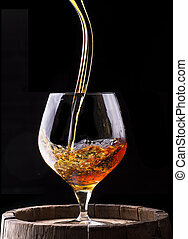 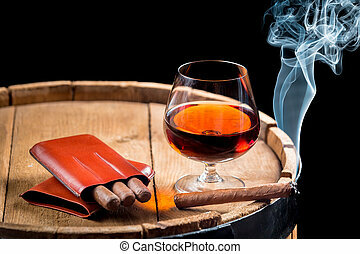 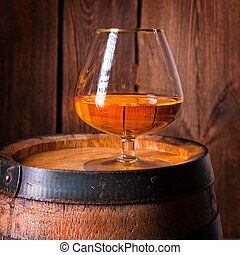 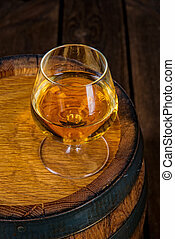 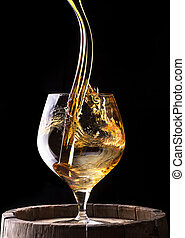 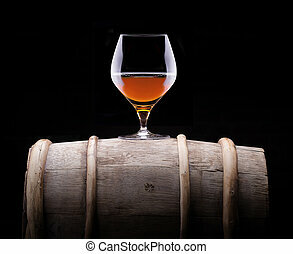 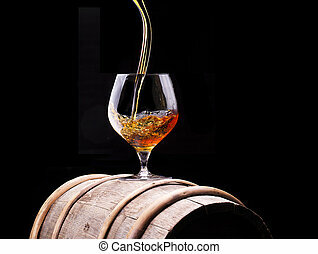 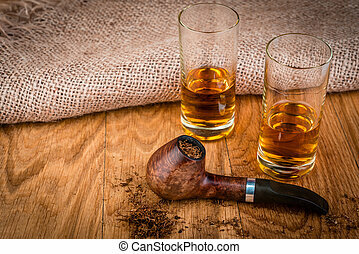 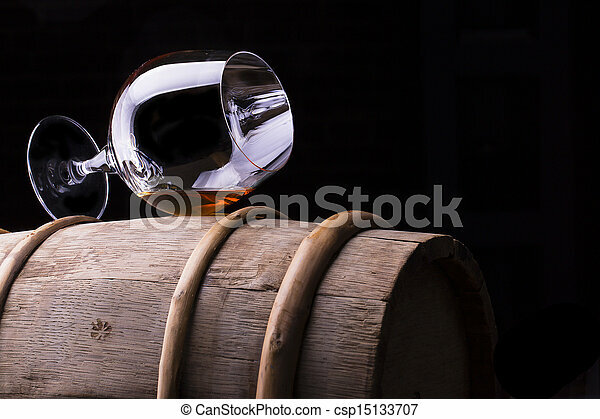 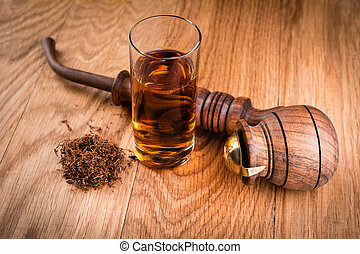 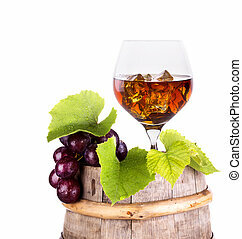 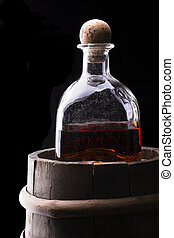 Cognac or brandy on a wooden vintage barrel with black background. 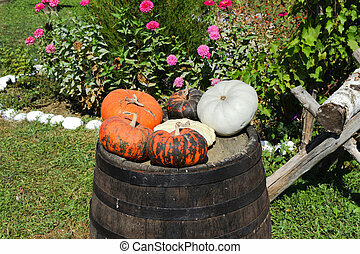 Multicolored pumpkins on a wooden barrel. 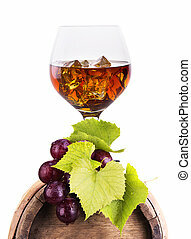 Harvest pumpkins.